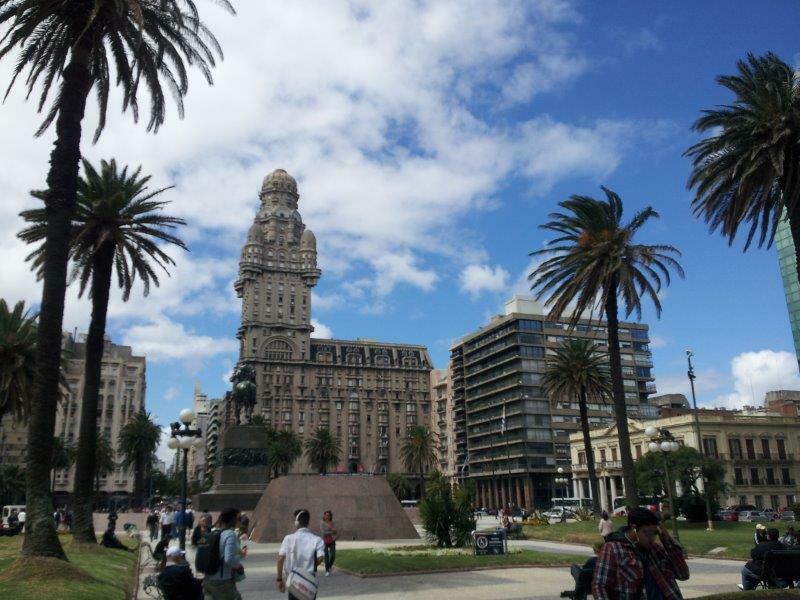 Montevideo, the capital of Uruguay, is a vibrant mix of architectural styles and cultures. 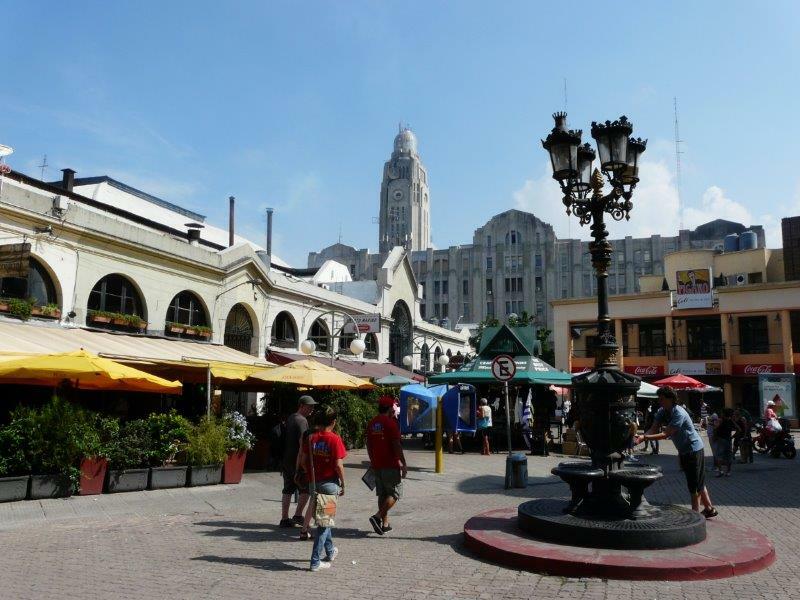 The heart of the city is Plaza Independencia, where the old & new city meets. It’s a massive square with the mausoleum of General Artigas, who led Uruguay to its independence, and the Teatro Solis and Government House. Avenida 18 de Julio, east of the plaza, splits the new city in half and is the main commercial street, with loads of impressive buildings in an eclectic and art deco style. 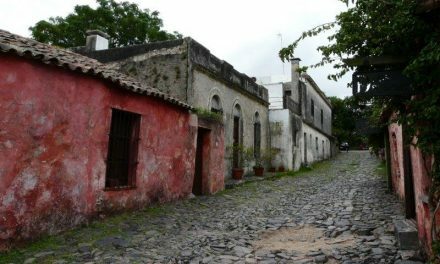 Enter the Ciudad Vieja or Old City through the Puerta de la Ciudadela at the west side of the Plaza Independencia. Explore the narrow streets scattered with bars and restaurants and beautiful and important historical buildings. The Plaza de la Constitución (or Plaza Matriz) with the Cathedral and Cabildo (city hall) and Plaza Zabala are the main squares here. The Museo Andes 1972 is great with info, stories & objects of the famous Uruguayan rugby team’s plane crash in the Andes and their struggle to survive (film “Alive”). Leaving the Old City without having lunch at the Mercado del Puerto is simply not done! Have some delicious meat or seafood with the market’s signature drink “medio y medio”. Parque Rodó with its boating lake is a perfect place to relax, and football fans can visit the museum at the Centenario Stadium at Parque Batlle, the arena of the first World Cup finals, won by Uruguay in their homeland in 1930. It’s a FIFA international monument of world soccer. 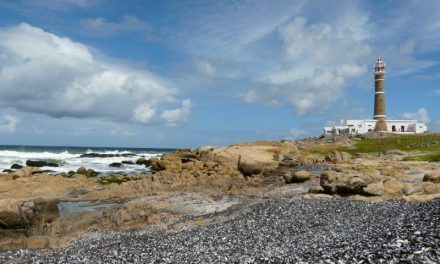 Sunday mornings are reserved for the big and popular Tristán Narvaja flea market and to get a tan, head to the excellent beaches of trendy Pocitos or Carrasco or have a stroll along la Rambla, the beautiful road that goes all along the coastline of Montevideo. The Rambla, a prime spot to go for a stroll or cycle. Celebrating the famous Montevideo Carnival is without a doubt a memorable experience! 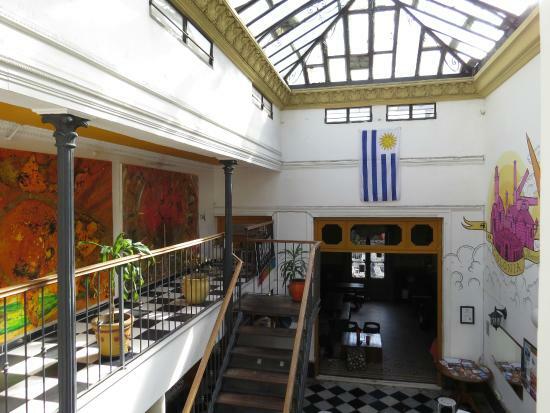 Contraluz Art Hostel in Montevideo has lots of natural light and high ceiling. 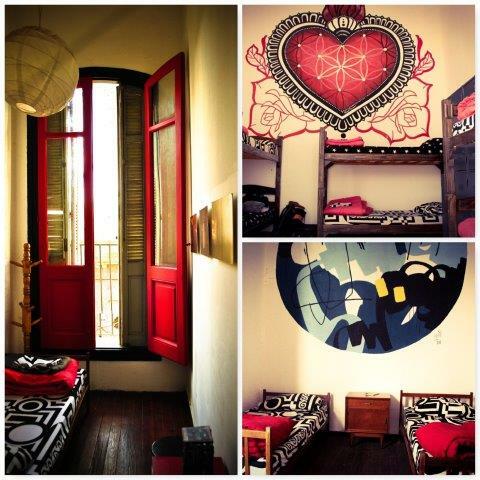 The hostel’s concept, with the focus on art & music, make it the most unique budget place to sleep and to meet people in Uruguay’s capital. The hostel’s rooms and spaces are all decorated by Uruguayan and international artists with gorgeous wall art & graffiti and Ana, a photographer herself, and her team give artists the opportunity to show their work in different art exhibitions around photography, painting, drawing, … The hostel never looks the same and that makes it so wonderful. You’ll hang out with really social, interesting and creative people here and music bands also often show off their skills; really fun and entertaining evenings. They also love organizing BBQ’s at Contraluz, perfect to meet their friends and the hostel’s other guests. 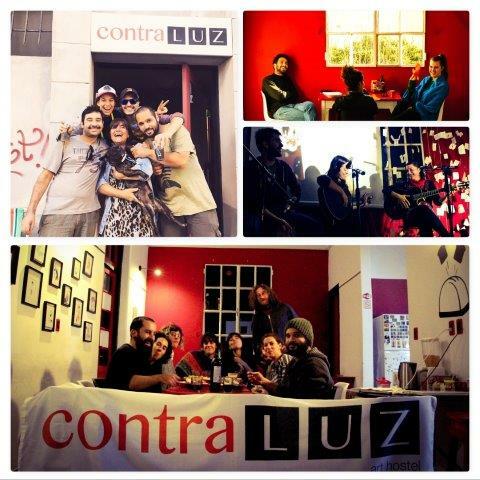 Contraluz Art Hostel just breaths creativity and expression, there’s even an in-house tattoo studio, opened every day. Imagine having your complimentary breakfast or munching on the food you’ve prepared in the well-equipped kitchen while admiring all the pretty art around you. The female (7 beds) and mixed dorms (4 or 6 beds) with lockers are very spacious or you can pick a single or double room (twin or matrimonial); all privates have air conditioning. All bathrooms are shared and towels are provided in the private rooms and for rent in the dorms. 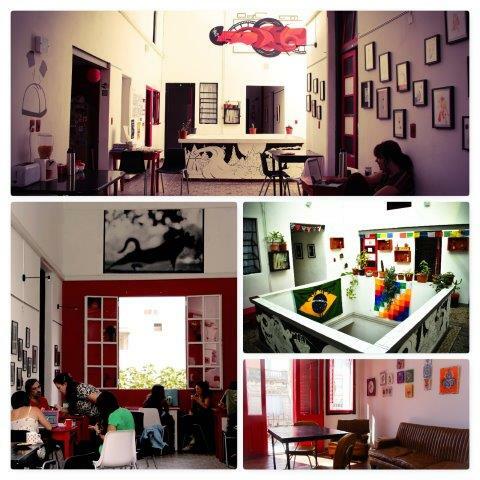 Contraluz Art Hostel is located in the neighbourhood Parque Rodó, one of the most beautiful ones of the city, with also many restaurants, pubs & clubs. At 2 blocks you can relax, walk or run in Parque Rodó, one of Montevideo’s green lungs with artificial lakes and lots of vegetation, and the Río de La Plata and Playa Ramirez are just 1,5 block away. 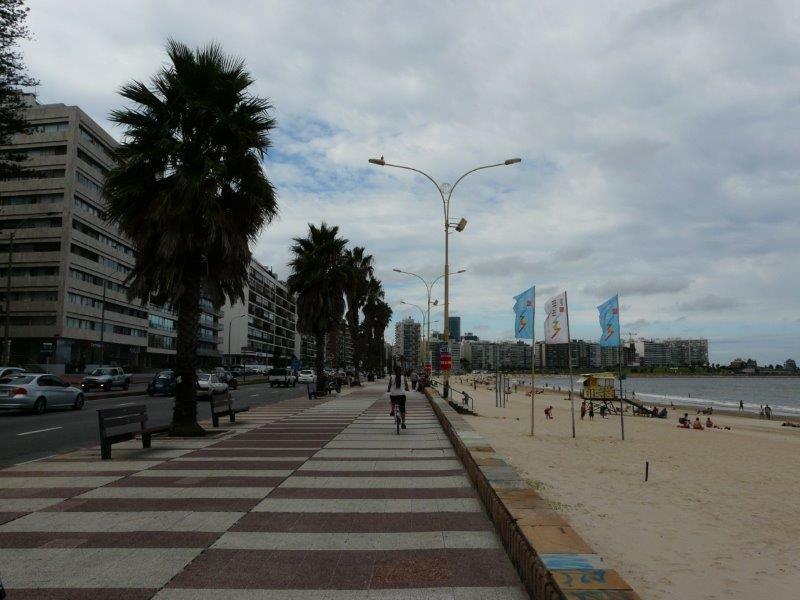 A 20 minute walk will bring you in Montevideo’s downtown or there’s a bus stop at just one block away if you don’t feel like exercising. How to get there: From the airport: bus “interdepartamental” destination Montevideo, get off at Montevideo’s bus terminal Tres Cruces and take bus 300 Cementerio Central or 407 Plaza España. Located in downtown Montevideo, only a few minutes from the main tourist attractions, take your pick between their 10 private rooms with private bathrooms, A/C and cable TV or their shared rooms with lockers. The hostel has an outdoor patio with a bar so it’s easy to get to know other travellers. There is a well equipped kitchen and a nicely decorated living room with cable TV, DVD & Media Player. 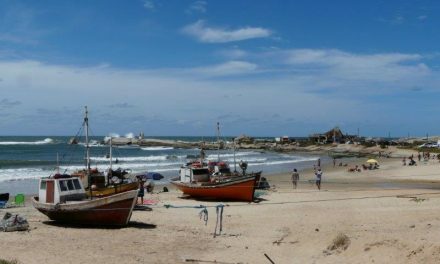 Ask their bilingual staff for bike rental, laundry service, bus tickets sales and hostel reservations for other destinations in Uruguay! Who hasn’t seen the tragic film “Alive” or read the book, a true story about the 29 Uruguayans who perished in the Andes in 1972 when their airplane crashed on its way from Montevideo to Santiago de Chile? The museum, located in the Old City, is dedicated to all 45 persons on board and particularly to the 16 fellow countrymen, who miraculously “returned to life” after having endured 72 infernal days under the worst imaginable conditions. The Museum includes pictures, documents, personal belongings and airplane debris, among other relevant items & valuable information. A timeline provides a day-to-day account of the events that took place in the “Valley of Tears” during those never-ending 72 days. By visiting this Museum, you are helping to transmit to the next generations the values and spirit of this story: Teamwork, Solidarity & Friendship! 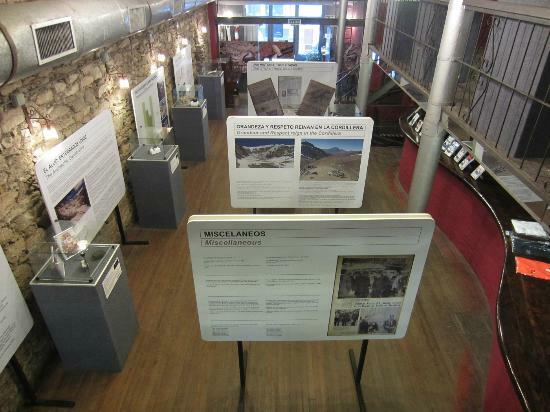 The museum’s guides speak Spanish, English, German & Portuguese.